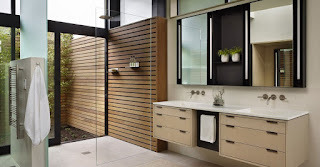 Bathroom Vanities blog: Are Oversized Walk-In Showers the New Black? 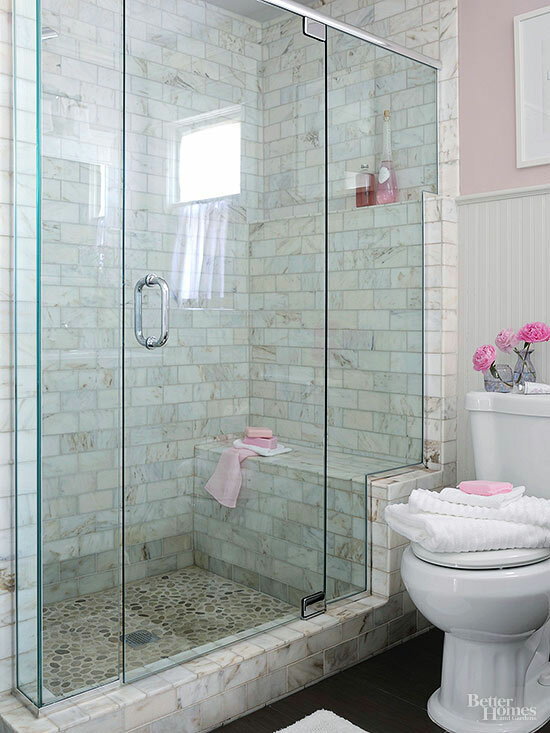 Although oversized showers might have been viewed as little more than an unnecessary extravagance in the past, they’re now considered a huge bathroom booster whether you’re looking to sell your house or just create a more modernized atmosphere. Large walk-in showers do a great job of enhancing the feeling of having your own personal spa at arm’s reach in addition to creating an impressive focal point in your bathroom. If you have the space for it, they’re a great way to elevate the overall quality and market value of your home. Oversized showers are a great investment because they allow you to move freely throughout and get the most of your bathing experience. If you’re concerned about privacy, you can have the shower installed in a corner space or you can install a small partition to block anyone from looking inside. The showers featured below are perfect example of installations that do an amazing job of maintaining functionality while also giving visitors a beautiful space to look at. This shower is great if you want to feel close to nature without physically being outside. It has the potential to provide you with a view of greenery, while still maintaining a level of privacy. It’s a relatively simple design and it’s not excessively large, but it still gives you a chance to move around freely. This design is perfect for nature lovers! This shower works very well for a smaller bathroom. It still establishes itself as the clear focal point of the bathroom without overtaking the entire space. The bench provides a nice place to sit, while also adding to the private spa experience that a walk-in shower usually facilitates. 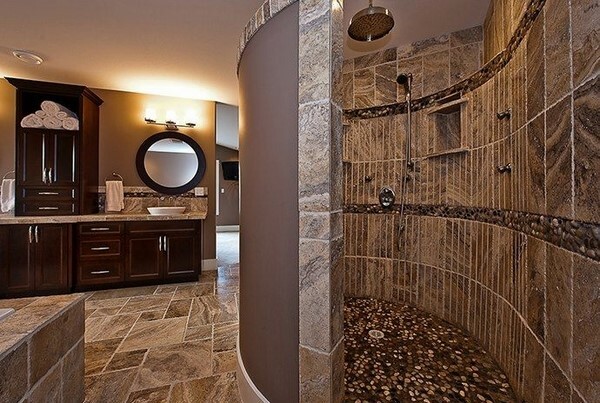 This shower is perfect for anyone with the available bathroom space. The giant wall gives you the desired amount of privacy, but there’s still a large enough opening to give you the feeling of being inside a walk-in shower. The cobblestone floor is an added bonus! Have an amazing idea for a walk-in shower? Let us know in the comments below! Very good blog post. You put forward some really interesting ideas. Hundreds of millions of dollars are spent in spa treatments every year by people of all ages who just want a water relaxation. A whole group of pipes specialists may outline a sewer framework for another lodging improvement. water damage services virginia can be threatening to your house and the objects inside it. As a layperson, you are sure to get confused and overwhelmed if your house get intruded by unwanted water.